Fueled By Ramen unleashed the debut album from Twenty One Pilots called Vessel for streaming a week and a half early, as the duo's album will be out January 8th. If you have not read our artist profile and concert review on the pair, then catch up on that here, because it is pivotal to understanding how good these guys are. 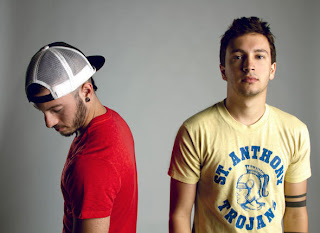 Their label debut features 12 tracks that run almost 50 minutes, and for those of you who have heard of them or are fans of the band, you'll recognize some favorites like "Car Radio," "Trees," and "Ode To Sleep." Yet, they are more polished versions and cleaned up a bit. While I haven't gone through the entire record yet, I'm certainly enjoying what I hear. Stream the record below.